Takahiro “Taki” Kitamura is a seasoned tattooist and co-organizer of the Bay Area Tattoo Convention. 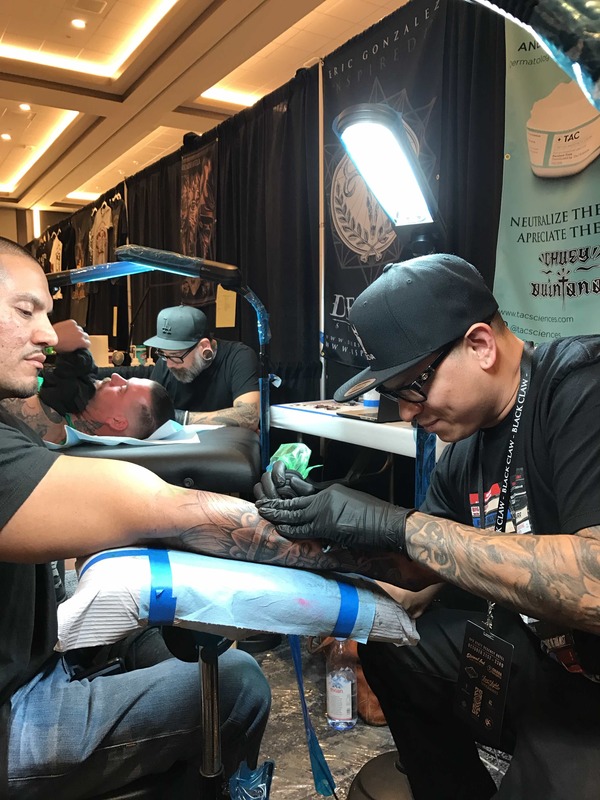 Below he elaborates on all things related to the Convention: its history, its emphasis on community, its tattoo-centered ideology, and its future. My name is Takahiro Kitamura but most people call me "Taki"—a nickname I've had since I was a child. My tattoo title was Horitaka from 1998-2015, since then I have assumed the title Ryudaibori. I was born in Tokyo in 1973. I grew up in the United States in a small suburban town in California. While I was born in Japan, my parents immigrated to the US a few years after. Growing up in the States with Japanese parents and frequent trips to Japan gave me bilingual skills as well as some understanding of both cultures. Since 2002, I have owned and operated State of Grace Tattoo. Prior to that I worked at two local shops; House of Pain and Marks of Art. I started tattooing in 1998. I got my first tattoo in 1991. I apprenticed with Paco Excel and Adrian Lee at Newskool Studios in 1997. From 1998, I had the honor of being an apprentice and member of the Horiyoshi III Family for ten years. I will always be grateful to Horiyoshi III, Paco, and Adrian for sharing this wonderful world of tattoo with me. Prior to tattooing, I attended the University of California, Santa Cruz where I graduated with a Bachelor’s Degree in Community Studies. When and how did the convention begin? What was the impetus behind it? We threw our first convention in 2004 in San Jose, California. 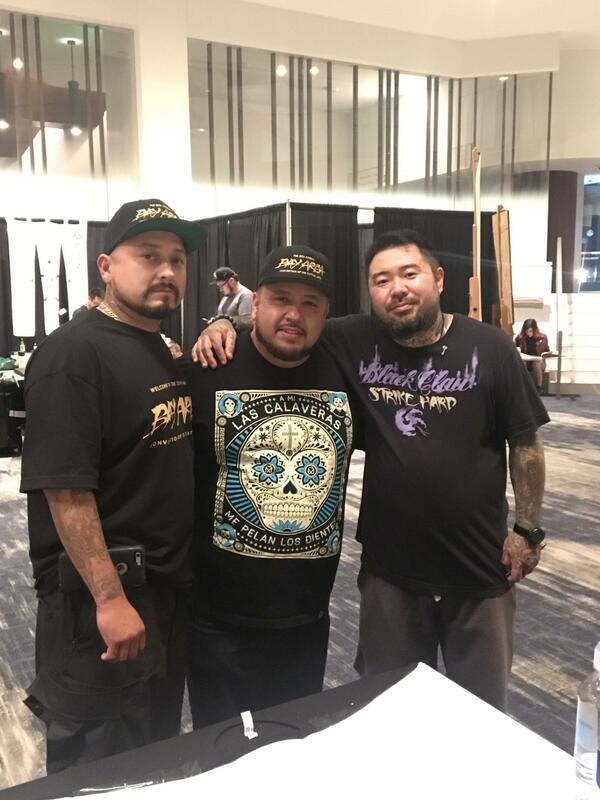 Basically, my friend—and eventual business partner and convention co-host, Roman Enriquez (bike builder, screen printer, entrepreneur, tattoo aficionado, and local legend) had the idea of throwing a real tattoo convention. He felt the Bay Area had too much talent to not have a good tattoo convention and really wanted to get one going. At first, I felt that it was too much work but he persisted and we are now in our 14th year. We work extremely well together and between the both of us have been able to amass the resources and workforce necessary to throw such an event. The event is owned by the both of us and we are proud of this fact: we aren't "frontmen" or "hosts" for some big corporation; we are both tattooed small business owners and this is our own thing. When we started, we had the conventions of the 80s in mind when we planned our show. 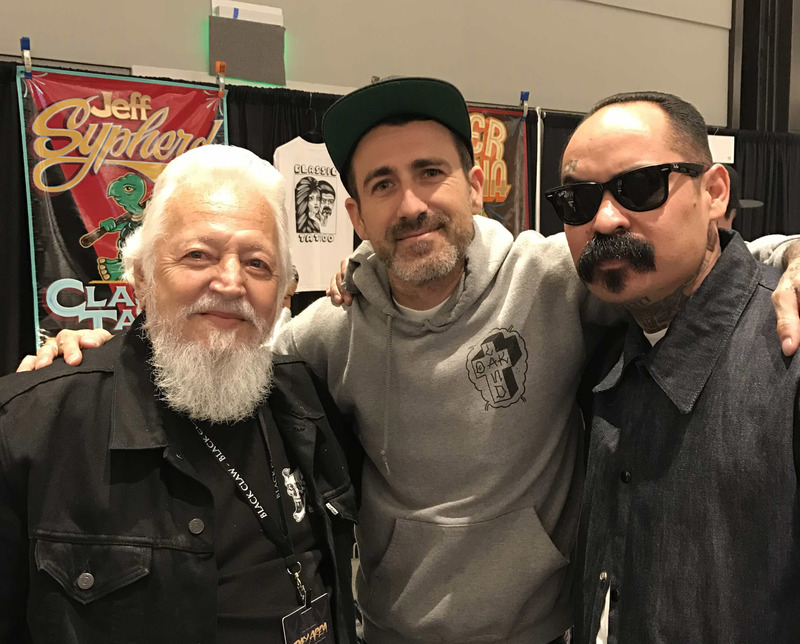 Of course, we were too young to have attended these shows, but hearing old timers talk about the Rome and Queen Mary shows of the mid 80s, shows where it was about camaraderie, exchanging of ideas and pure tattoo-centered fun, inspired us to focus our tattoo convention on tattooing. I know that sounds terribly sarcastic, but we've seen so many shows where tattooing is a side note, and the promotion and betterment of tattoo art takes a backseat to the music, piercing, entertainment, and vendor booths. 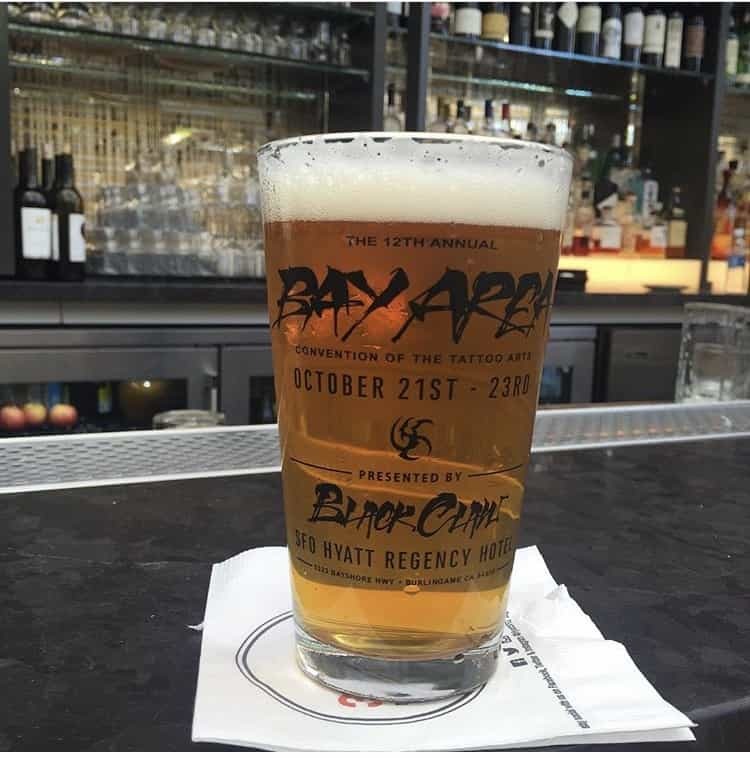 "Cheers from Black Claw and the Bay Area"
How do you understand the place of the Bay Area Tattoo Convention in relation to other international conventions? What is its place in the world of contemporary tattooing more broadly? I think our place in the world schematic of tattoo conventions has changed over time. When we first started there were far fewer tattoo conventions. We actually talked with Miki Vialetto (a tattoo community legend who has always worked for the betterment of tattooing as well as supported us from day one!) and picked a time of year that wouldn't conflict with the major shows at the time like London, Rome, Milan, and New York. Nowadays, there are three shows every week and you can't help but overlap dates. I think we set ourselves apart by eliminating bands, piercing, performers, pageants, and keeping vendors to a minimum. Essentially, we had a mission statement, and that was to put tattooing as the main attraction. This approach isn't for everyone and we are not criticizing conventions that include these other things—but we have seen a few conventions move in the same direction as ours, and I've been told by a few organizers that they want to implement the same ideology of having tattooing as the main focus and attraction. The Bay Area has long been a hotbed of tattoo talent and I think many artists see this as a great place to visit and tattoo. What are some of the most notable events that have happened within the convention over the years? Well as we try and stick to our mission statement, we have promoted book releases, art shows, seminars, and opening parties thrown by local tattoo shops. 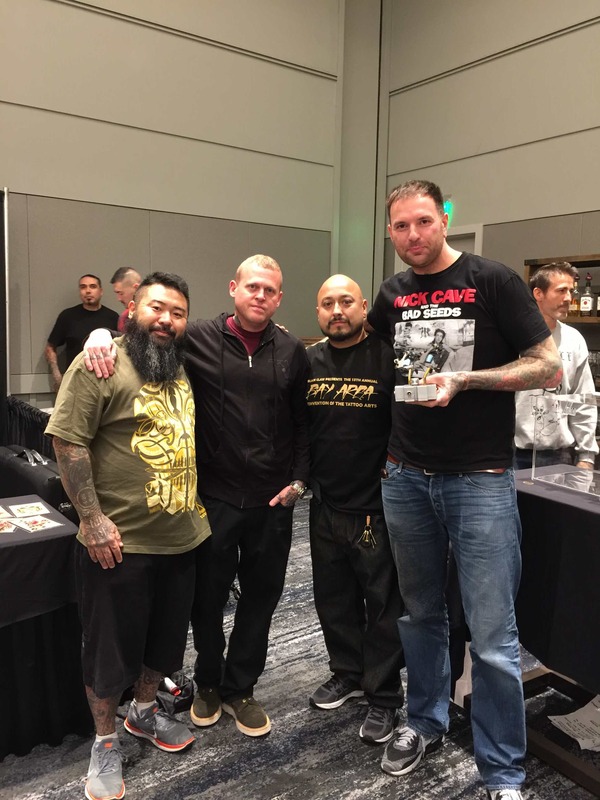 We are proud to have hosted the first ever seminars by Chris Conn, Shige, Horitomo, and Chaz Bojorquez in a tattoo setting. This was done together with BJ Betts. We have also had seminars by Don Ed Hardy, Jeff Gogue, and Tim Hendricks. In the early years, we hosted art fusion demonstrations and one year Mike Giant live "Sharpie'd" a full mural during the show! We made a conscious decision to put tattoo art or tattoos on the posters—not performers or pinups, but tattoo art. We've been fortunate to have original poster and shirt art designed by Horiyoshi III, Steve Byrne, Tony Hundahl, Samoan Mike Fatutoa, Horitomo, Thomas Hooper, Richard Stell, Bert Krak, Roxx, Mike Wilson, Chuey Quintanar, and other such high caliber artists. We've had the pleasure of hosting a multitude of book releases and I gotta’ say it was awesome when Black Heart had The Dwarves and B'Last play the opening party. Another memorable moment in San Jose was the year Master Horiyasu visited from Japan. We also had the honor of being visited by two body suit clients of Master Horikazu (RIP). 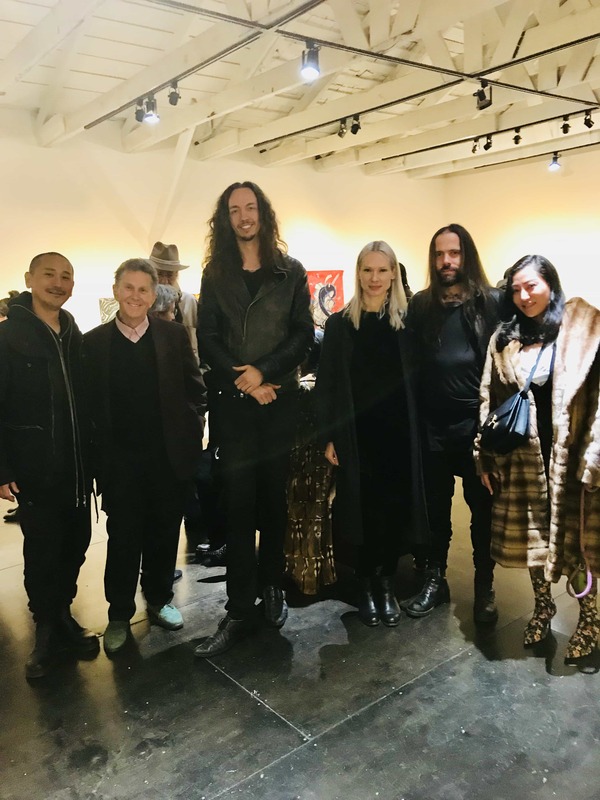 Another awesome moment was the opening party hosted by Idle Hand SF with a performance by Trans Queen Pearl Teese! Always a good time in the Bay Area! And I love the energy brought by all the guest artists working the Bay Area shops during the weeks around the convention! 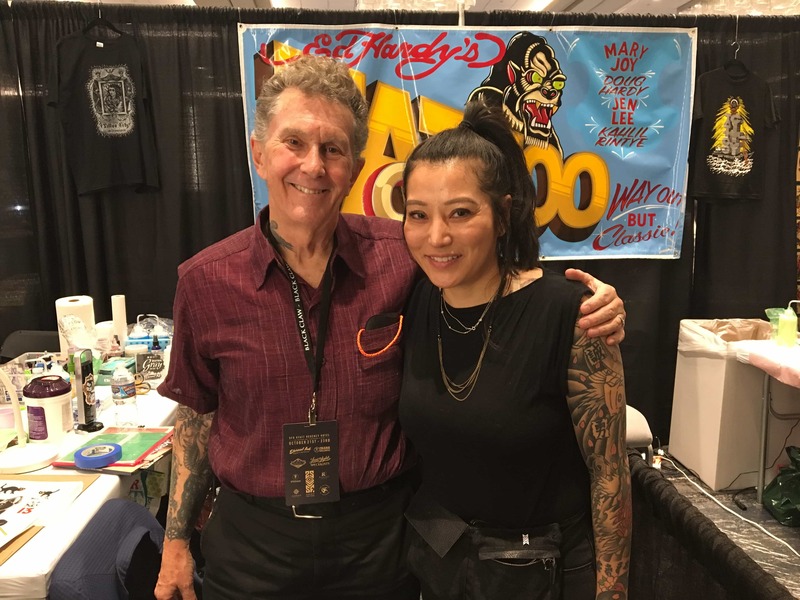 Are there any major figures within tattooing that you associate with the Bay Area Tattoo Convention? Major figures of tattooing? I suppose the expected answer would be names like Ed Hardy, Bill and Junii, Scott Sylvia, Grime, Miki Vialetto, but in truth, every person that tattoos there and gets tattooed there is a major figure. While it can be hard to avoid, and yes we do consider "collector draw" when choosing artists, we try to avoid the social hierarchies present in tattooing. In our early years, in an attempt at equality, we would put every tattooer’s name on the poster. This changed due to space, and actually the last few years we have not put any tattooers names on the poster. We also don't play the fame game: we have had tattooers from TV shows but we don't market them as "celebrities"; rather, they are there as tattooers—and we don't pay them appearance fees, they are there by their own volition and because they want to be a part of the show. We do make a concerted effort to always have tebori and tatau present. But this isn't about fame. It's about diversity and cultural roots. The Bay Area has, historically, been a site of intense political organizing, whose impacts often resonate on a national and even North American scale. Does the convention channel any of these political energies? What do you identify as its political import in both a local and global context? I hesitate to use the word “political” in association with our convention as there are assumptions that are immediately made when one says "politics." Our end goal has been to be true to tattooing to the best of our ability, and in doing so, I think we have adopted stances which might be termed political. We have always tried to show a diverse view of tattooing in every possibly way. We have rejected requests for pin up shows, contests, and other such performances. We have nothing against bands, dancers, strippers, piercers and the like, we just have chosen not to feature them at our show. There are plenty of venues for that in the Bay Area, we just want our show to center on the tattooing. This might mean a smaller attendance but I think what it attracts is a very informed public as well as a sense of family amongst the artists. Do you have any interesting experiences of the convention that you can share? Yeah, so we did away with contests years ago as we felt it fostered a strange competitive sense that we didn't want. In order to bring the attention to who we felt was an artist that went above and beyond at the show, we created the our "BEST OF SHOW" award! Jimmy Whitlock created a very unique trophy made up of two machines on a working power supply base—a fitting award for the hardest working tattooer at the show. This individual is chosen by Jimmy, Roman, and I, and goes to the one who does the most tattoos, organizes parties, and generally contributes to the energy of the show and tattooing itself. Our winner roster so far is Bert Krak, Oliver Peck, Juan Puente, Su'a Sulu'ape Peter, Mitch Love, Tuigamala Andy Tauafiafi, and Steve Byrne. In what direction would you like to see the convention develop? How would you like to see tattooing evolve more generally? 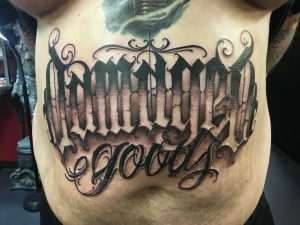 I think we, meaning us as convention organizers and you as a magazine, have a responsibility to promote what we think is good for tattooing but also to be fair about this—and I mean that sometimes I don't always like every tattoo I see but I can recognize a value to it and respect its importance. 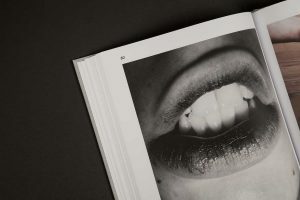 I think people often get stuck in a "my style is best" and that's fine—you should love the style you do, but also recognize that the tattoo is not for you and the needs of the tattoo client run the gamut of human diversity and emotion. This doesn't mean you have to do every style of course, but if you take it on, do it to the best of your ability. And if not, send it to someone that will. 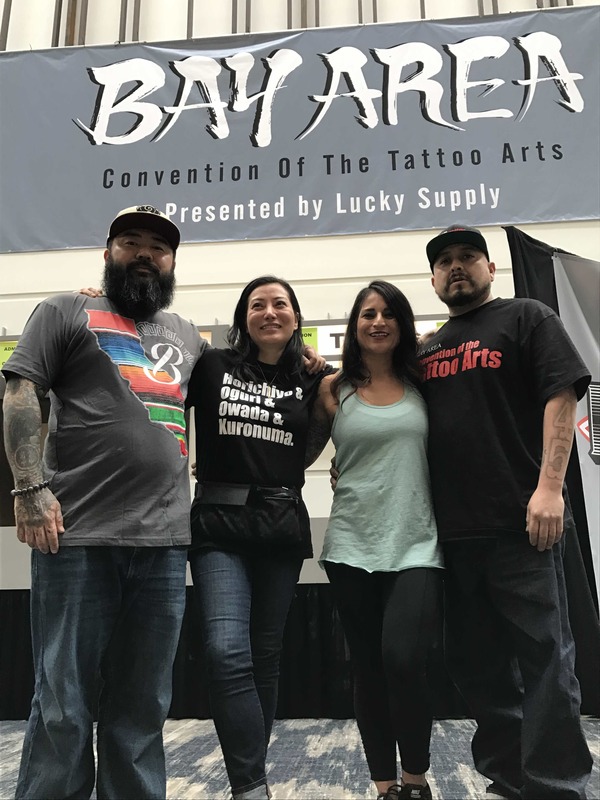 For the convention, I'd like to see us continue to have a great event that promotes a sense of family and artistic excellence in the tattoo community. For myself, I'd like to take a step back, slow it down, and concentrate on older styles of Japanese tattooing. You can learn more about the Bay Area Tattoo Convention at www.bayareatattooconvention.com. Taki’s work can be found on Instagram @stateofgracetaki.